This topic contains 0 replies, has 0 voices, and was last updated by chandrashekarreddy 8 months, 1 week ago. 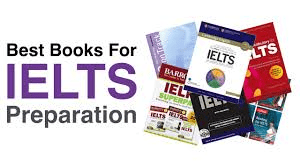 Today(18th August 2018) @ Hyderabad, I had my listening, reading and writing sections in IELTS General module. Task 1 in writing is write a complaint to the manager about the problems that are in the changing rooms at the fitness centre. a. Describe about the issues. b. Describe why the respective didn’t resolve the problem despite of many complaints previously. Some People say that it is good to have the uniform for all the employees at work.